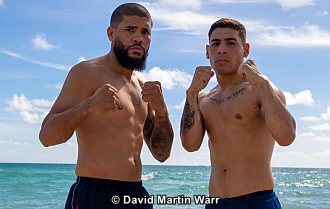 MIAMI, FL, November 2, 2018 -- “REDEMPTION IN MIAMI” fight card, headlined by four-time world champion in three weight divisions and Olympic Gold Medalist YURIORKIS “El Ciclon De Guantánamo” GAMBOA will take place Saturday, November 10 at the MIAMI-DADE COUNTY FAIR EXPO CENTER, in Miami, Florida and will be available live on pay per view, beginning at 9 pm ET / 6pm PT. “Redemption in Miami” is promoted by New Champion Promotions. Fight night doors will open at 6:00. 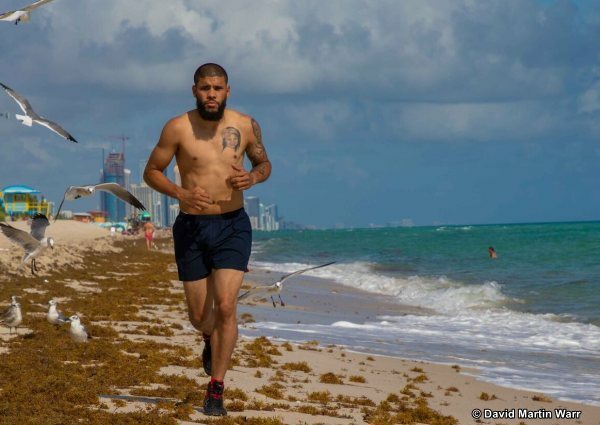 Harold Calderon (17-0, 10 KO's) from Miami, will battle Emiliano Martin Garcia (16-2, 13 KO's) Buenos Aires, Argentina in an eight-round welterweight bout. Opening the pay per view card will be an eight-round super bantamweight battle bout between Jorge Romero (10-0, 8 KOs) versus Jason Vera, (5-5, 3 KO's), both from Miami.